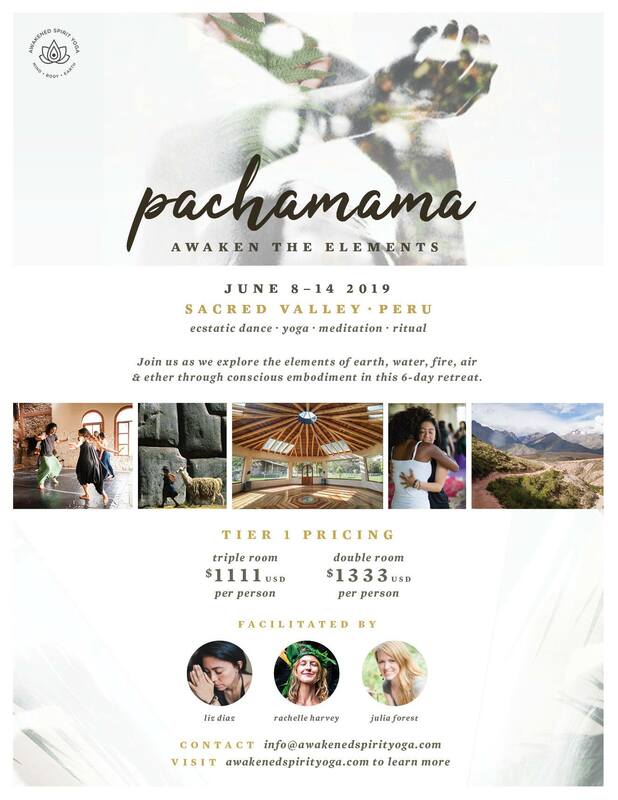 In the heart of the Sacred Valley, surrounded by ancient Inca sites and the Andes mountains, dive deep into the wisdom of your own body, remembering, reclaiming and recalibrating it’s expression as a pathway to bliss. Join us as we explore the elements of earth, water, fire, air & ether through conscious embodiment. In our 6 days together we will utilize dance, yoga, meditation, expressive art, eco-therapy and ritual practices to allow a process of inner alchemy to take place. The Andean Medicine Wheel, the ‘Chakana’ which is the foundation of Andean Cosmology, will act as an anchor on our journey, reminding us of the interconnected and sacred nature of all things as we explore our creative capacity!